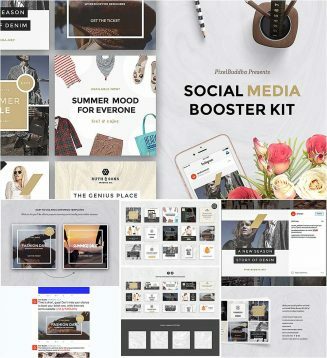 Social media booster kit is an amazing way to make you work with social media not only much easier but also more effective! The product includes 15 templates designed natively for Instagram, Twitter, and Facebook. Tags: blog, booster, branding, facebook, fashion, instagram, marble, social media.